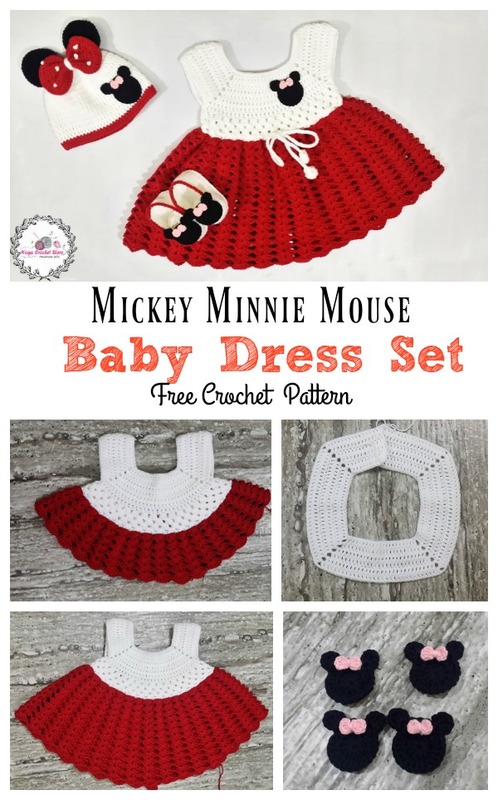 This Mickey Minnie Mouse Baby Dress Set Free Crochet Pattern is perfect for Minnie Mouse fans. It is fun and quick to make. The set includes dress and hat with crochet polka dots. The hat is complete with ribbon bow with white polka dots. Your beautiful baby girl will look adorable in this little outfit. The set is an ideal outfit to wear to a photo prop or fancy dress party. It’s warm and soft to wear too. Enjoy. You might also like Happy Puppy Baby Slippers Free Crochet Pattern.